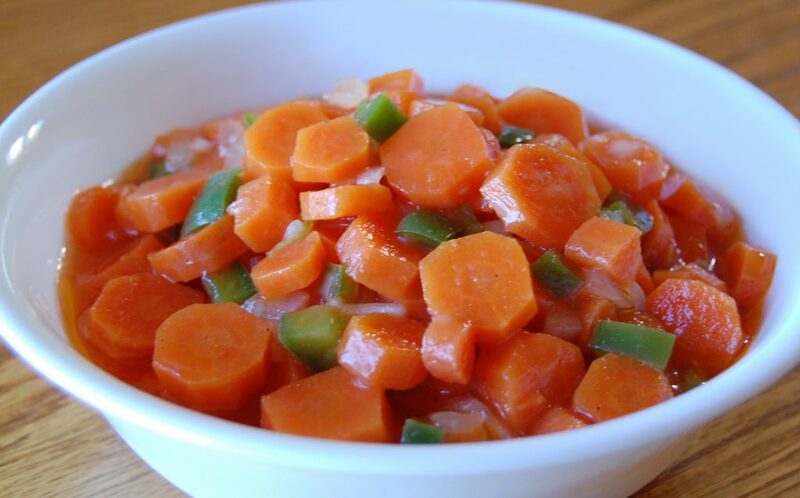 In salted water cook carrots until tender- about 5 minutes before done add bell pepper & onions. Drain & Mix all the other ingredients together and pour over carrots. This can be served hot or cold =as a side dish or salad.